We have concluded that the [Mayor and] Council and the Elections Board did not timely adopt meeting minutes for meetings in 2015, and we have noted that the City will be adding staff to enable these public bodies to do that more quickly. We have also concluded that the Elections Board’s practice of providing notice through its agendas did not always convey the required information reasonably in advance of each meeting. 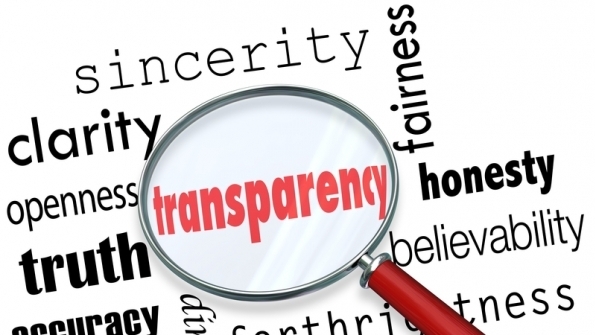 Is Rockville Moving Towards or Away from Transparency? This week the City of Rockville responsed to my complaint that the City held nearly two dozen meetings last year without documenting their decisions and sharing them with the public. Among my complaints was that the Board of Supervisors of Elections failed to post minutes on a regular basis since March 11, 2015 and the Mayor and Council failed to post minutes of a closed Executive Session on January 25, 2015. The City approved most of the missing minutes last week, which meant that it’s taken more than a year to provide minutes for some meetings. (If you watched the March 21 Council meeting, you probably didn’t notice it because it was part of the Consent Agenda and approved with no discussion.) That’s probably unacceptable under Maryland’s Open Meetings Act, which requires that minutes be provided “as soon as practicable.” The issue is now in the hands of Open Meetings Compliance Board, who is expected to announce their opinion next month. Although the Board doesn’t have the ability to compel the City to follow the law, it is incredibly embarrassing because it publicly and independently confirms that the City isn’t meeting openly and transparently, which is the basis for a genuine democracy. Highlighted in red are meetings of the Board of Supervisors of Elections for 2015 that are missing minutes. The Open Meetings Compliance Board of the State of Maryland is investigating Rockville’s Board of Supervisors of Elections (BOSE) for failing to maintain its meeting records in accordance with state law. BOSE is a five-member body appointed by the mayor with the approval of the council and charged with the conduct of all City elections, the registration of voters and the keeping of records in connection with these functions. The state’s Open Meetings Act requires that all city boards and commissions provide either written minutes or a video recording of their meetings so that the public is aware of their actions and decisions. Other city boards and commissions have had a spotty record over the past few years, but BOSE is exceptional. BOSE did not maintain records for nearly half of its meetings last year, with missing minutes stretching back to March 12, 2015 and no minutes available after October 21, which was the most intense and competitive period of the last Mayor and Council election. BOSE has until mid-March to provide a written response to the Compliance Board, at which point they will render an opinion. I’m not sure how BOSE will be able to review and approve so many minutes by the deadline, but even if they do, it suggests that the Supervisors of Elections need supervision as well. 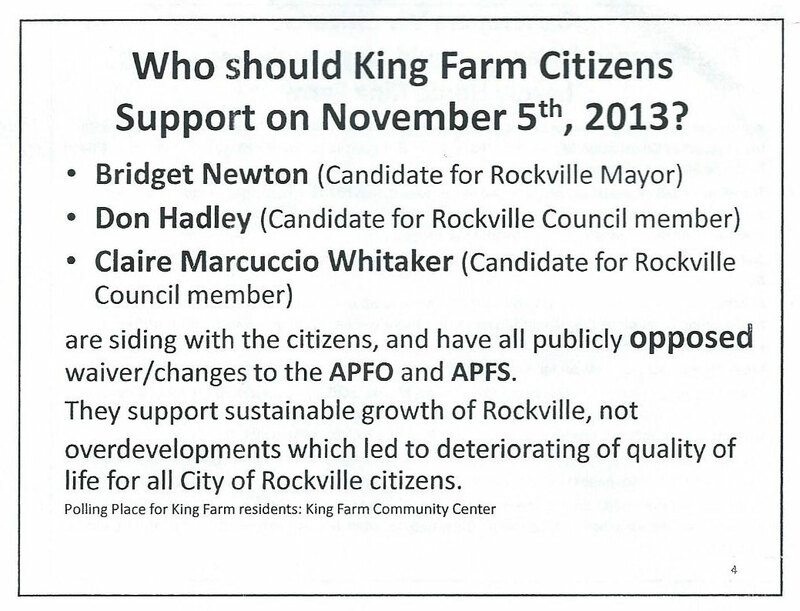 If you’re concerned, please let the Mayor and Council know at mayorcouncil@rockvillemd.gov. In 2012, I reviewed Rockville’s boards and commissions to assess how openly they conducted their meetings during the previous year. It was a miserable showing, with about half not providing agendas or minutes. Four years later, it has improved and yet six “public bodies” received failing grades, including the Mayor and Council. Illegal flyer distributed in King Farm in October 2013. Along with the City Council, the City of Rockville has 23 official boards and commissions to study, advise, and decide on a wide range of issues, from city planning to cultural arts, from human services to animal matters. In addition, there are at least ten other unofficial task forces or committees. All of these boards and commissions are composed of volunteers, usually residents (some include property or business owners who live elsewhere) and most members are nominated by the Mayor and appointed by City Council (a few have members elected in other ways, such as RSI). Rockville has always encouraged and supported citizen involvement in its government, and used these board and commissions to keep the residents informed and part of the decision-making process. But how well informed are its citizens? All commission meetings are open to the public (I’m going to call them all “commissions” to keep things simple), but only three commissions–Planning Commission, Historic District Commission, and the Board of Appeals–have meetings that are regularly broadcast on Channel 11 and the City website (most likely because the City Council has granted them exclusive decision-making powers). For the other commissions, to find out what’s happening you have to attend the meeting, talk to one of the commissioners, or review the minutes. Obviously, the most convenient way is reviewing the minutes or notes of the meeting, so let’s see how we’ve done.